Constantine XI’s last moments in life, as he stood before the walls of Constantinople in 1453, have bestowed a heroic status on him. 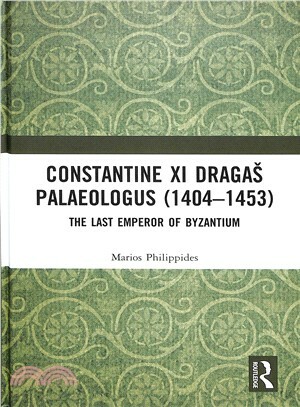 This book produces a more balanced portrait of an intriguing individual: the last emperor of Constantinople. To be sure, the last of the Greek Caesars was a fascinating figure, not so much because he was a great statesman, as he was not, and not because of his military prowess, as he was neither a notable tactician nor a soldier of exceptional merit. This monarch may have formulated grandiose plans but his hopes and ambitions were ultimately doomed, because he failed to inspire his own subjects, who did not rally to his cause. Constantine lacked the skills to create, restore, or maintain harmony in his troubled realm. In addition, he was ineffective on the diplomatic front, as he proved unable to stimulate Latin Christendom to mount an expedition and come to the aid of south-eastern Orthodox Europe. Yet in sharp contrast to his numerous shortcomings, his military defeats, and the various disappointments during his reign, posterity still fondly remembers the last Constantine. Marios Philippides is Professor of Classics, Emeritus at the University of Massachusetts, Amherst, USA. He has authored numerous books and articles on the Palaeologan era and on the fall of Byzantium.